I can't find any cons about this tablecloth. It simply looks fantastic on my table. Would even keep it on for company. This was the only place I found that carried a round tablecloth with elastic to fit my patio table. Price was right and the fit was perfect. Quality I find is excellent. It is on our kitchen table and we love it. It stays in place and is wearing well. 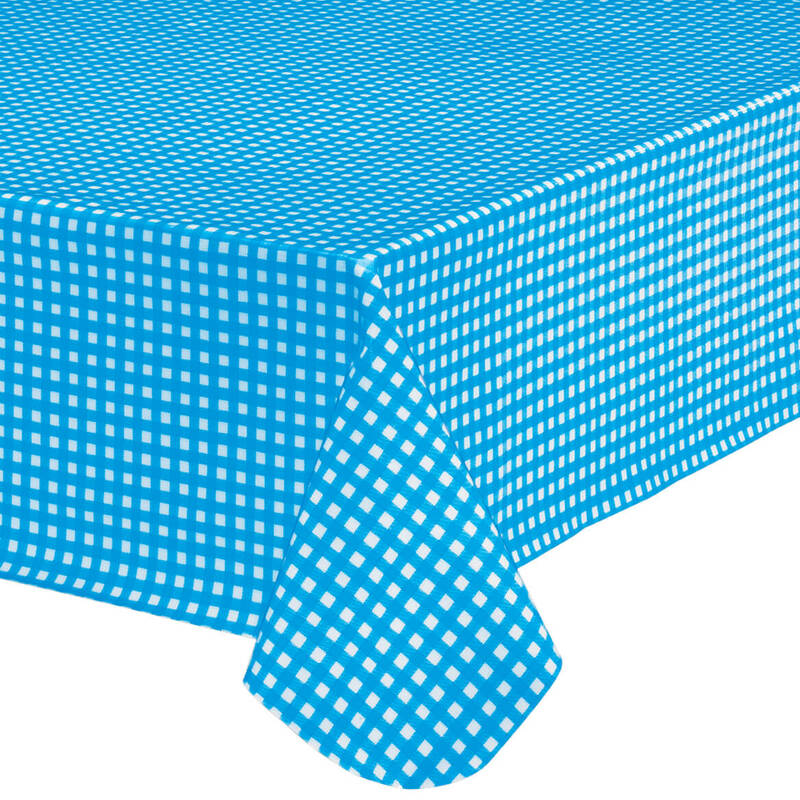 Attractive tablecloth for every day use - easy to clean. Great stretch for my round table. Great table covers. I have a glass top dining table that is constantly needing wiping and shining. Boy, these save me a lot of time. Great table cover for frequently used kitchen table! Where the kids do homework & eat regularly! 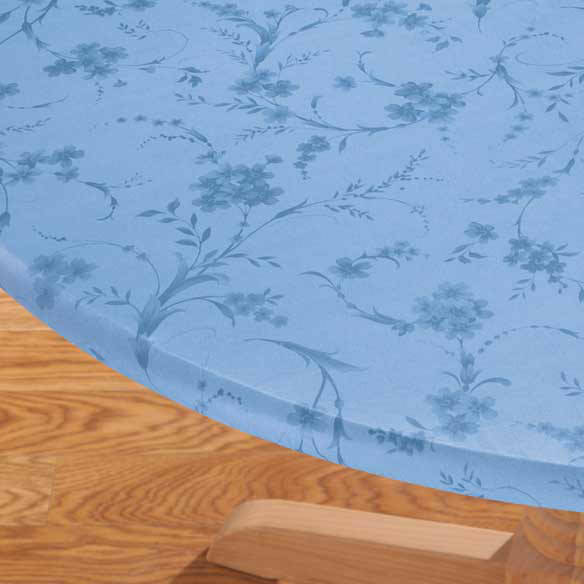 Protects the table finish & the elastic prevents the kids from pulling it off everytime they move or get up from the table! 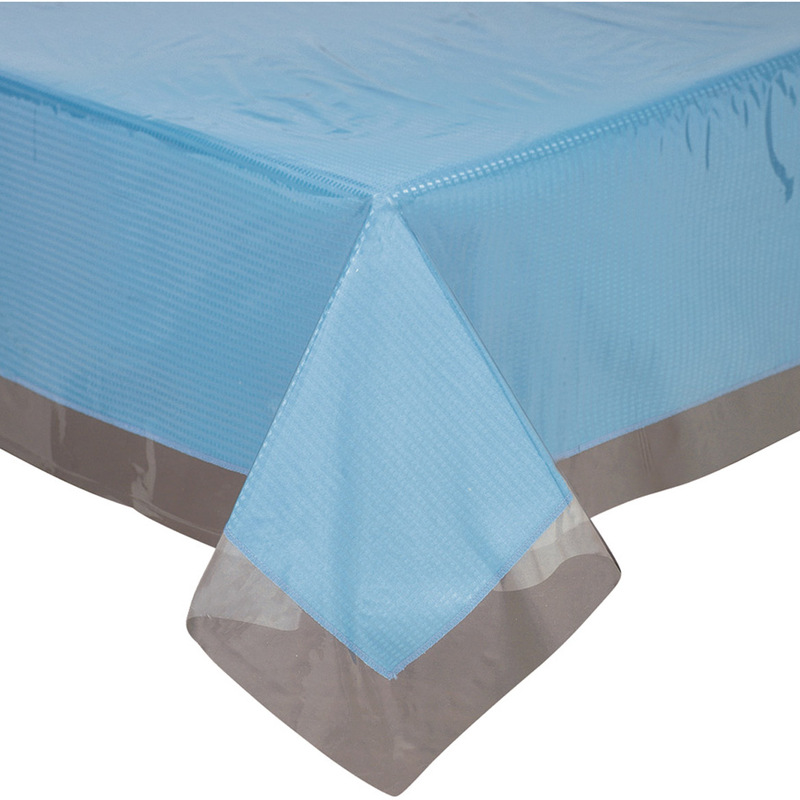 These plastic tablecloths are fine for outdoor tables and porch tables. They are accurately described in the ad [...] I would buy similar products again. THANKS. This tablecloth stays on my outdoor metal table all year. It is much easier to clean than the metal webbing and more attractive. Since it is out in all kinds of weather from very hot to below freezing & heavy winds, I do need to replace it every few years. It holds up quite well. tableCLOTH over it & noone knows. I have a glass top table outside. The tablecloth is very sturdy and does not fade. It fits my round table, perfectly. I will be buying more for a change in scenery. Great quality product, easy care! I am an avid jigsaw puzzle maker and can use the table when I need it without disturbing the puzzle just by covering it with the tablecover. it is ideal for me. I can do my puzzles now and still use the table, how great is that? the table from all the spills and sticky hands. We have three kids under 5, and I love these for our table. I go through one every 3 months or so because the kids periodically stab them with a fork and then make bigger holes, but they are so easy to clean. They are a permanent fixture in our household for the next few years! I was glad i found this tablecloth...it's exactly what i was looking for my glass table. Got tired of washing table cloths for my kitchen table. This is wonderful - cleans up beautifully and looks great. This was a clearance item and I was leary to try it, but am glad I did. I really like my patio tablecloth wow!!! This is the second table cloth I purchased, and fully enjoyed it. Please see my other comments. I always know you'll have what I need! I love all your items I have ordered and your prices are always so reasonable. It saved me a lot of time running around looking for what I need.Your company is just awesome!!!! I've been using these on my kitchen table for years. The color green matches my kitchen decor perfectly.I put one on top of another to protect table. These tableclothes are great for the family table. Do not slide or move. Using it on my kitchen table. It fits great! I have ordered this tablecloth in the past and am very pleased with it. It fits well and looks good. Must be careful if using paper plates. When you cut something on them it goes through to the tablecloth and cuts it also. 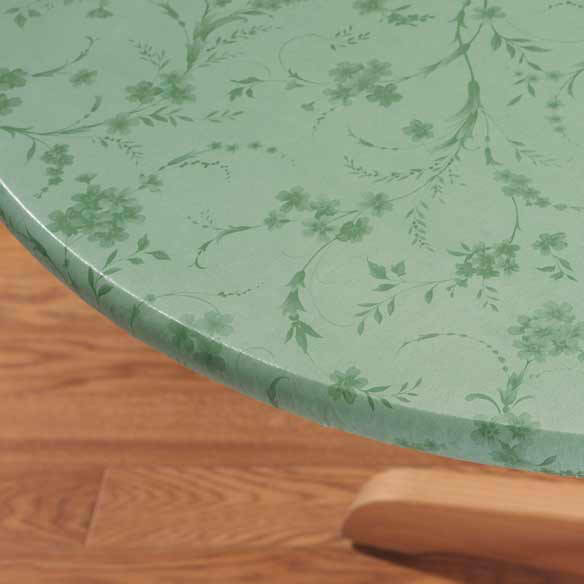 I ordered the light green tablecover and OMG, it's Sooo pretty! it really compliments the colors of my dining room. i will order more of the same soon since it's a given that Eventually, someone will damage this cover! Good Quality and Very pretty! I bought one and liked it so much that I have ordered more. I have twin 2 year olds and this protects my table and makes clean-up very easy. I covered an old metal outdoor table with this. Put a small slit in it to use the umbrella. It fit perfectly and looks nice. I am buying a few more to give as gifts. We buy these a few at a time as our young kids destroy the table and these covers protect but end up getting cut and abused but they have added many years of life so far to our wood table! With Miles Kimball, I was able to find the right size and perfect pattern for my kitchen, and have it delivered to my door for much less than it would cost to shop around and try to find in a store. And considering my location, I am not near an abundance of stores. 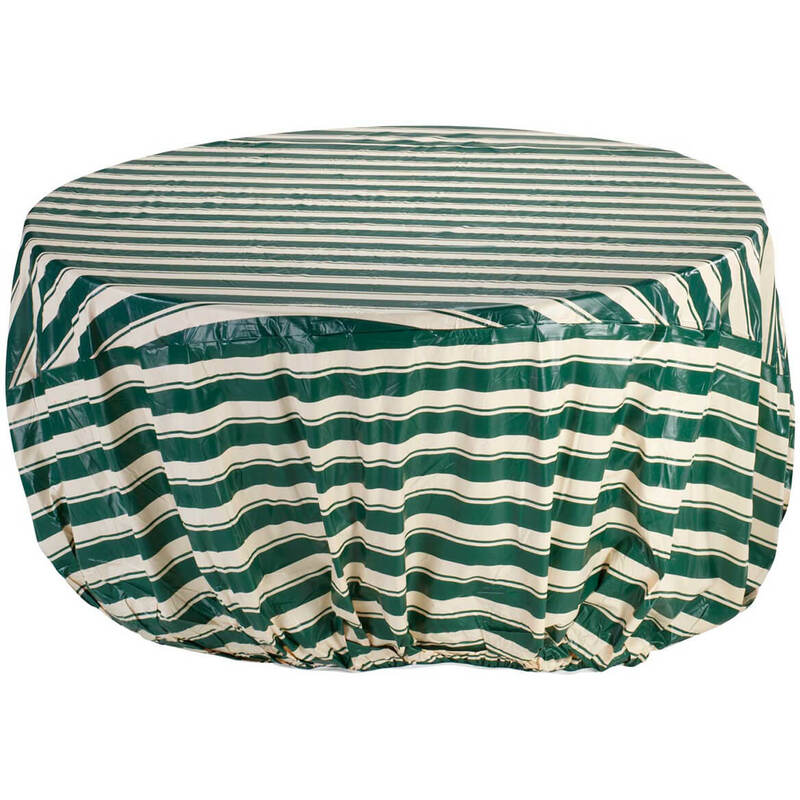 This tablecover is being used on my patio round table outside and is perfect. Was able to fit snugly over a 45 inch table. Newsprint doesn't stain cover. Appears to be cat proof so far. Bought two in case cats clawed through it but that hasn't happened. Nice sunny yellow color. The Elastic was a little difficult to put on my oval table by myself. Once two people did it, the fit was fine. The color is nice and bright and the print is pretty. Great table cover in a attractive design. Fits great and is so easy to put on the table. you will love it. I like this so much that this is the 3rd one I have bought! I would still have the first one if I did not have cats! I've only had this a short time, but I have no complaints about it. In fact I ordered 2 more after I received the first one because it was the best fit i have ever had from similiar products. The tablecover is heavy enough so as not to cut easily, but still stylish and pretty. Keeps table top clean from all kinds of stick messes. Great if you have kids! color, fit and pattern made me happy to purchase it again. Love this tablecloth! Use it everyday to protect my new glass-top kitchen table. Only place I could find a large round YELLOW tablecloth. I use these elastic table cloths on my kitchen table. I have several of them and have been using them for years. I love the elastic that keeps the cloth on the table, no slipping or sliding around like cloth table cloths. The only fault I see with them is the strength of the material used is very thin and fragile. My grandkids have torn more than one of my elastic table cloths. I set a plastic tub on this cloth on my table and pulled it to me and it torn small holes in it as it slid across the table. 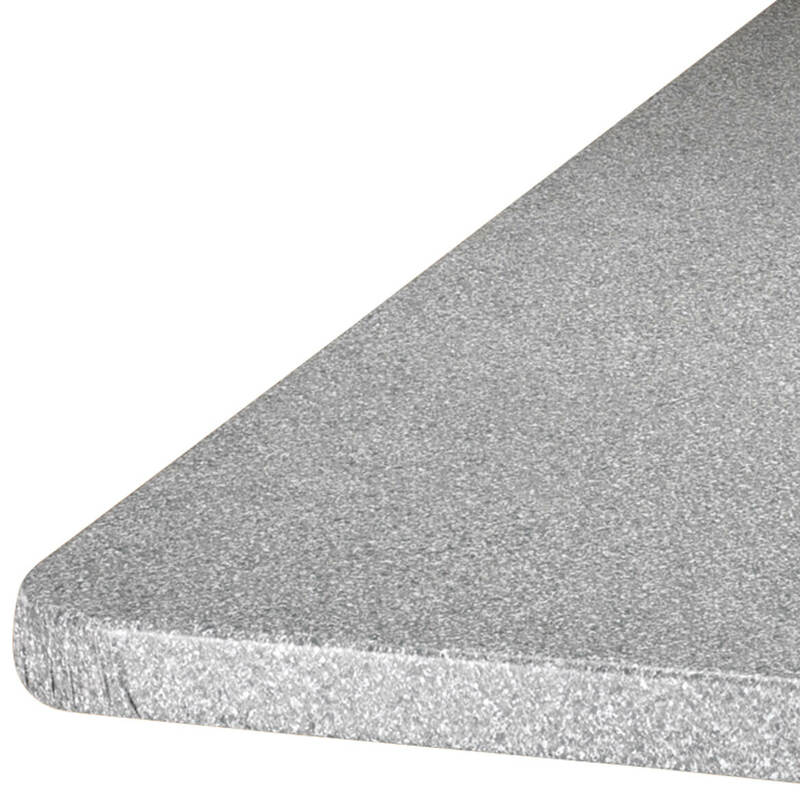 A lap top was placed on this cloth on the table and someone tried to slide the laptop a few inches and the rubber feet on the laptop gripped the cloth. Result was I had a badly stretched spot on the table cloth that would not go away. 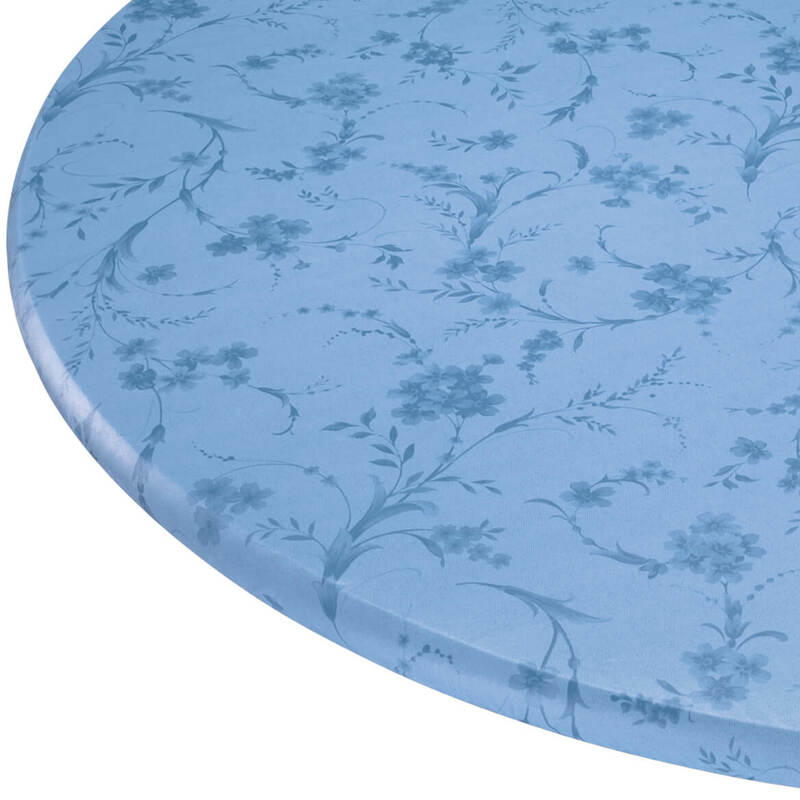 I would recommend the manufacturer use a better quality material so these table clothes can stand up to normal wear and tear that goes on on a family table. And yes, beware of setting hot items on these. I have never done so, but can imagine what might happen. I have purchased many different patterns of these elastic table cloths and all of them are of the same quality. All tear easily and stretch out of shape easily as well, but other than than they are nice to add some color to your table and they stay put. I would recommend this product with the cautions I mentioned above. I love the way it stays in place and the ease of cleanup. I have several grandchildren and was always fixing the tablecloth as it shifted or the little ones pulling on the corners. Now I don't have to worry because it always stays in place and the grandchildren cannot pull it off the table. when they spill their drinks, it wipes off easily. Great item for anyone with little ones. I'm tired of cleaning my glass table. This surely helps. I'm a repeat customer for this item! I use these table covers on two outdoor tables that remain outdoors year round. They look pretty, they're durable and protect my glass tables. 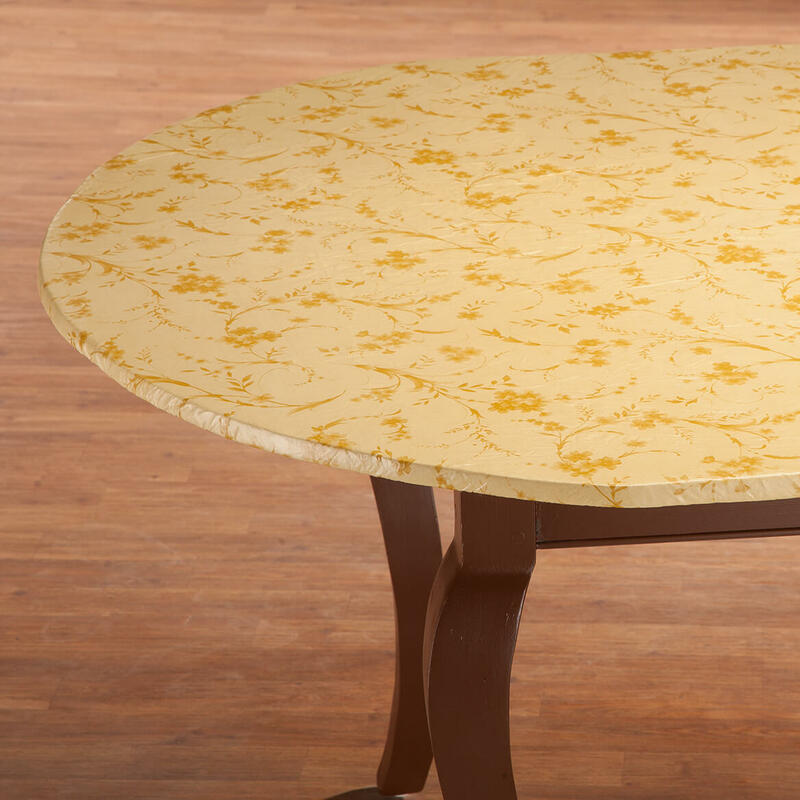 This fits an oval table perfectly and is great for the family table. Very nice tablecloth for family table. It not only looks great but does not slip around and get lop-sided. I really like it. I would really love to use this table cloth but my table is big. I need a bigger size. My table is oblong. I use it on my kitchen table and love it. It stays in place and is easy to clean. Looks nice and had lots of good comments on it. I am sure to buy another one. It also protects my wood table without needing coasters. I have had my first one for about three years, which I feel is a real good buy. I use this as an everyday protective, but attractive, cover for our wooden table. I usually have a cloth tablecloth on top of it for appearance, but have begun leaving the cloth off for longer periods between changing since the fitted vinyl cover looks very nice. I use this product for card playing on a glass topped table. It is attractive and easy to put on. It is just what I needed. This cover is a replacment for a similar cover that hd worn out. It is used in a kitchen table that gets constant use. I have been very well pleased with it and continue to use and replace this cover as needed. Would be helpful to have more size choices. I chose the only oval table cover they had, but it is WAY too long for the length of the table. I am trying to figure a way to gather in the excess but I may have to do some sewing and alter the length of the cover because it is hanging down and is unsightly. Fits round table nicely and protects from kids' paints and colors. use as a table cover and protector; easy to clean up spills; doesn't stay completely in place since it is slightly bigger. I have a rectangular breakfast table designed with no corners. This table cloth was a tight fit, with pulling-wrinkles along the edges. It has lasted several years and is finally wearing out, with the odd worn-through spot here & there across the surface and along the stressed edges. Fit well but it is a little on the thin side. My table is small and square but this table cover does work. I chose the light yellow and it's a nice color. The table I use this for is off the kitchen not my dinning room table. 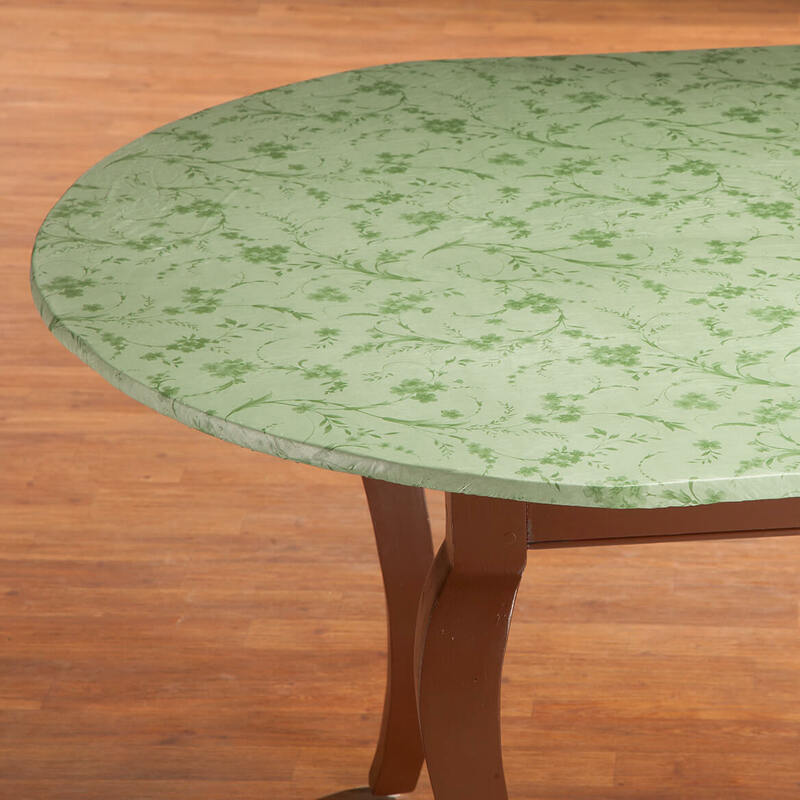 I purchased the green table cloth, and it is pretty and fits my table perfectly. Was so glad to find a fitted table cloth, that cleans up easy. When I received this it was really wrinkled bad. I had to take a warm iron and a pillow case and iron the wrinkles out. Other than that I am please with this product. Wrinkles don't want to smooth out. This is a good product-if you get a good one. I received one that looked like it was returned and resold. All wrinkled-And wrinkles take forever to come out of vinyl. to see what your buying. The product arrived wrinkled and unsightly. Even after putting it on the table and attempting to iron it with a warm iron, it is still too unstable for tableware. 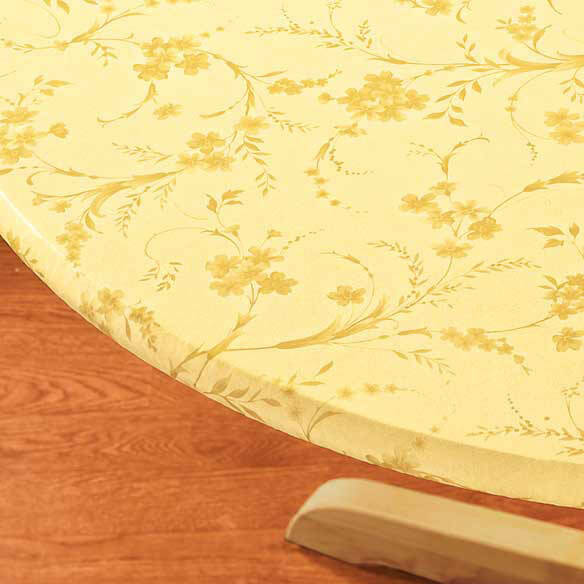 While I like the appearance of this table cover, I spent about 1.5 hours figuring out how to get the wrinkles out. I ended up putting a cotton dish towel down on the table, ironing small areas at a time, then quickly smoothing out the warmed area with my hands. For [$], you get what you pay for. Just using it for a few months in a temporary situation. This one will probably end up outdoors eventually. The size listed for a table does not work. It is WAY too large & bunches up all around. Price and color and right size. Liked the elastic since the wind always blows the tablecloth. I also like to cover my table because it gets so dirty. This tablecloth will be easier to clean (than the basketweave design on the table) when I’m ready to use it. This is a great way to protect our table and add some color to our kitchen. It is easy to clean and easy to take on and off. I have bought this kind of table cloth from you before and I really love how it looks and how serviceable it is. I wanted to give it to my daughter for her backyard table. She didn't know where to find one but I did!! It matches my theme well. The elasticised tablecloth is great when my granddaughter visits...no sliding tablecloth and falling dishes. Picked the yellow because it's bright & cheery and a fairly neutral color. Just the right size and style. Walter Drake has the best price! Wanted a neater look for my indoor table and the color is cheery. Needed a tablecoth that wouldn't slip. Walter Drake had a great assortment. I have a round glass table in my breakfast room. Have used these fitted tablecloths for a number of years. 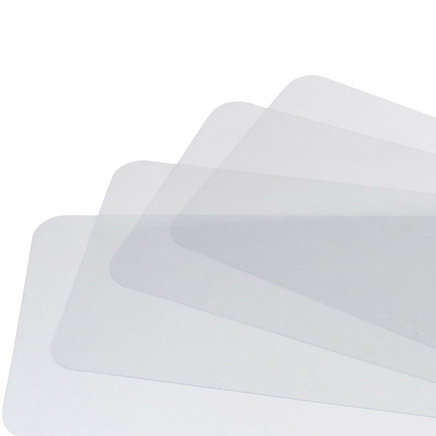 No slipping of dishes on the table and protects the glass table top. Matches flowers in the backyard. Good products and fair prices. Best quality for the money! "the product lasts for a good while and fits my table nicely." I had purchased before and it's very durable and looks beautiful ! The size fit my table. To match my blue and yellow floral kitchen. Do you have any square table cloths? do you have a rose #630 round tablecloth? BEST ANSWER: Thank you for your question. Item number 356713, the Illusion Weave Vinyl Elasticized Table Cover comes in a rose color. We hope this information will be of help to you. 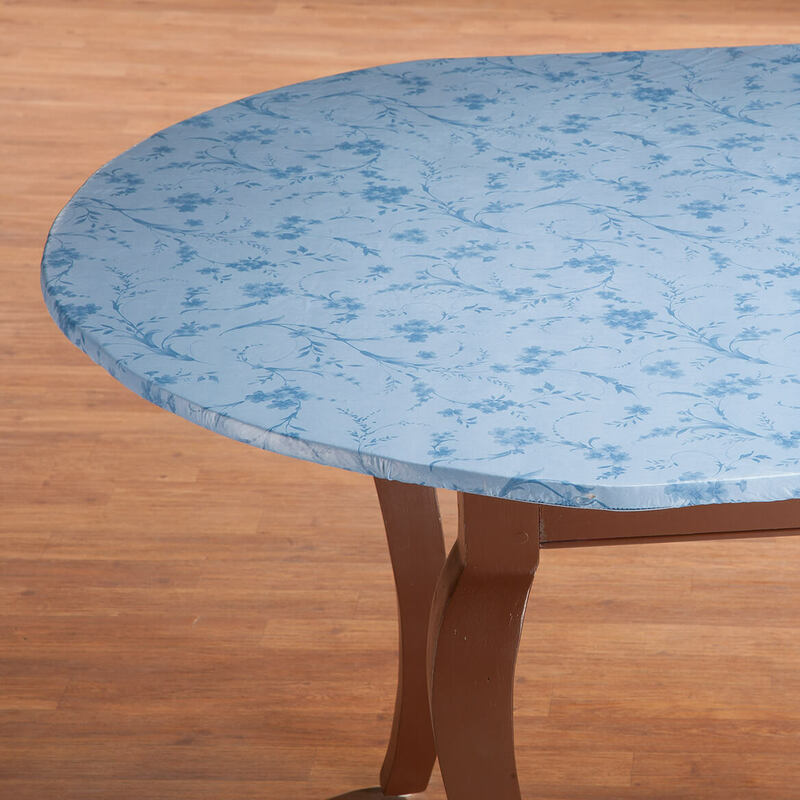 Do you have a fitted cover for a 60 inch table? BEST ANSWER: Thank you for your question. Unfortunately we do not carry a table cover that will fit a 60 inch table. We hope this information will be of help to you. My oval table measures 48 by 56. What size elasticized tablecloth should I order? BEST ANSWER: Thank you for your question. You should order the 42" x 68" Oval. We hope this information will be of help to you. My round table is 48" Will the table cloth fit tight? BEST ANSWER: Thank you for your question. Yes, if you buy it in the large round size. We hope this information will be of help to you. 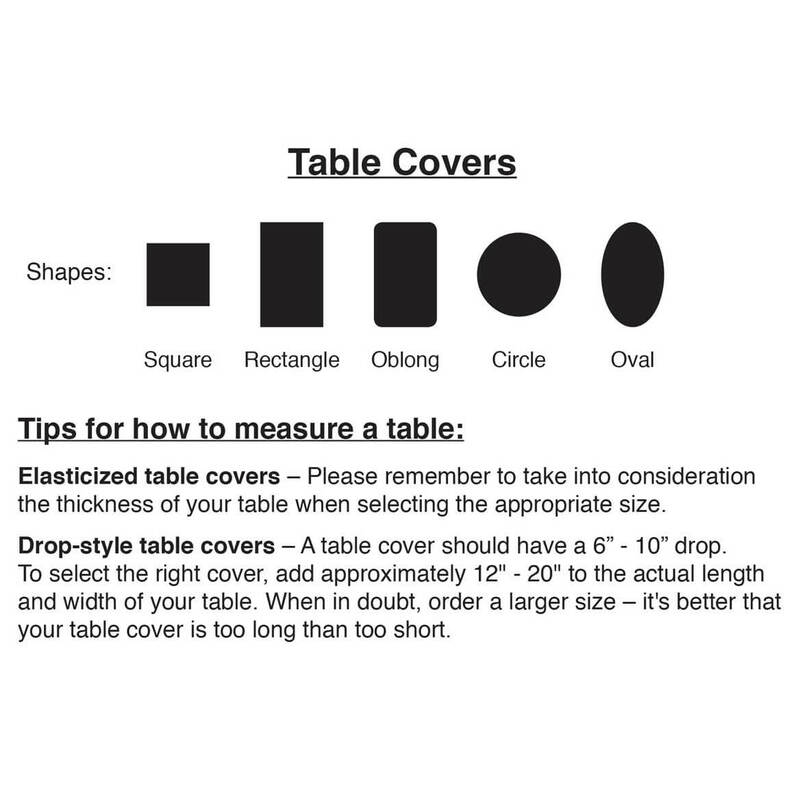 my table is 48 x 68 your oval won't fit it is only 42x68? BEST ANSWER: Thank you for your question. This table cover would be too small for your table. We hope this information will be of help to you.